These car-lovin', Berwyn-lovin' organizations deserve your support. They make every year's Berwyn Rt. 66 Car Show better than the last. Here's the complete list. NAMED ONE OF CHICAGO MAGAZINE'S "5 BEST THINGS TO DO!" We'll see you on Sat, Aug 24, 2019 for a stroll down the Mother Road among hundreds of vintage and custom cars, trucks and motorcycles. The event also features live entertainment and a variety of hometown eats. Every year, over 20,000 residents and visitors take to the streets of Berwyn's Rt. 66 to be wowed by the best auto enthusiasts! Located on the pavement of Historic Rt. 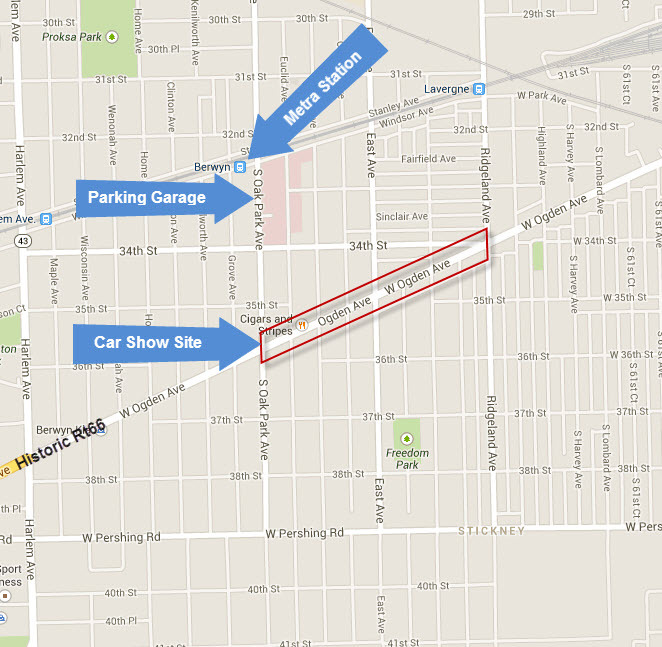 66 - Ogden Ave between Oak Park Ave and Ridgeland Ave. With plenty of places to park on side streets, and at the Berwyn Municipal Parking Garage at 3300 S. Grove Ave (a short 3 block walk to the show site). What does the show mean to you? People are talkin'. Share your experience or review directly below. We may feature it here! This is a yearly event every September on Ogden Ave which is also Route 66. Participants show off a wide variety of cars from rusty old pick-ups to original 57 Chevy’s to low riders. If you like cars, it’s definitely worth the trip at least once. There were some awesome rides! 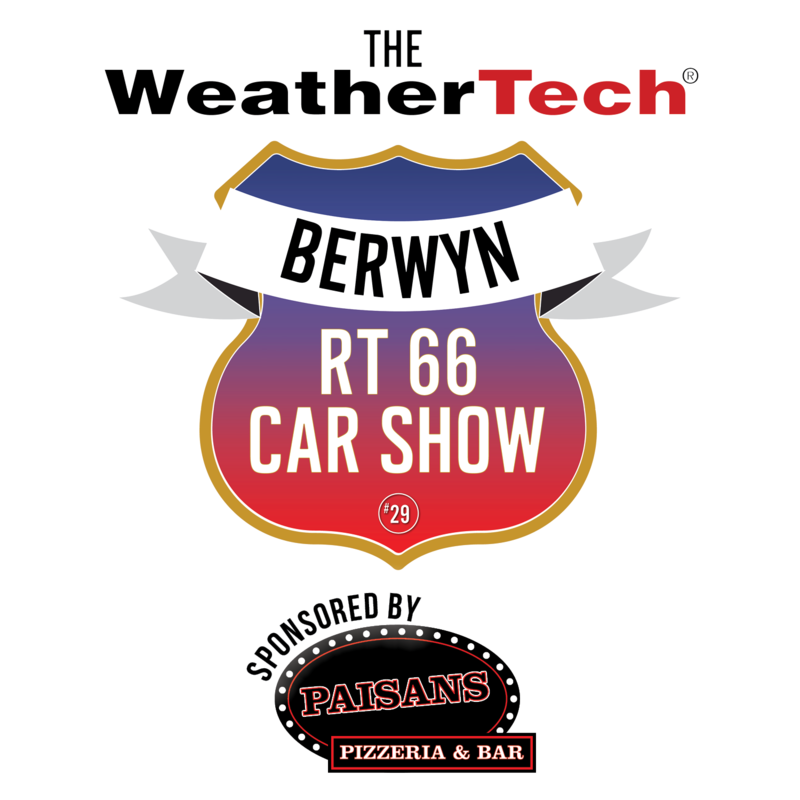 The annual Berwyn Route 66 Car Show, one of the most important car shows along all of Route 66 in all eight states! Just down the street from the [Berwyn Rt. 66] museum. A don’t-miss, no-admission event in Illinois as it is second in size only to the Mother Road Festival in downstate Springfield. Flashy vehicles, food and fun! A member of the Berwyn Rt. 66 Car Show team will get back to you shortly.